Somebody once said every man should own a boat and a horse in his lifetime. While I have been a passenger on many boats, I have never owned one. Oh, I came close to buying one after winning a poker tournament in Florida, but the deal never came through. As for horses, I wrote a while back on this website about Rincon, a thoroughbred race horse that had been retired because of being blinded in one eye when it ran into a wall while training for a race. Rincon was a beautiful red roan, intelligent and devastatingly fast. I wanted to buy that horse but by the time I came up with the money, Rincon had another owner. That was a real disappointment to me and one that took a long time for me to overcome. 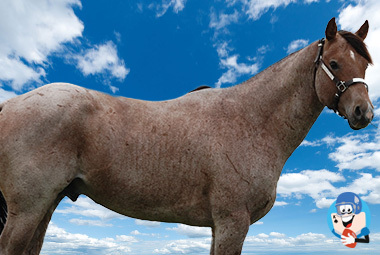 It was my younger brother, John, whom we nicknamed Legs, who bought the horse. He and our former brother-in-law put up the money to buy a young colt named Victoria March at a horse auction in Ohio. They purchased the black colt at a ridiculously low price. It seems Victoria March was injured in the paddock when she was kicked by another horse and severely gashed on one of her legs. 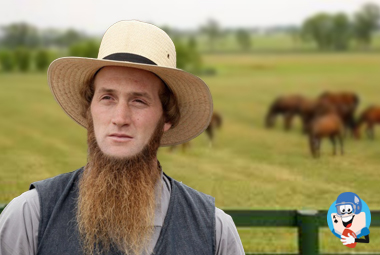 There were several Amish farmers at the auction to buy work horses for their farms. They avoided the black filly because of the injury which looked worse than it was. The colt had good bloodlines for a harness horse and Kenny Miller, one of our high school buddies who was a professional horse trainer, recommended that they make a bid on the horse. They did. Nobody else tried to buy Victoria March and they wound up owning the filly. They signed a working agreement with Kenny Miller who began training the filly along with his other horses. It was exciting and fun for my brother to be part-owner of a race horse. He watched the training, fed carrots to the horse, and admired the way she trained herself into form. I was living in Arizona but my brother kept me informed on the filly's progress. Everybody in the family got involved in her training. When Kenny thought she was ready to race, everybody showed up at The Meadows, a harness track in Washington, PA. to watch her run. If you ever watched the movie 'The Black Stallion,' you probably know how our family felt. Although Victoria March did not win that first race, she ran well and everybody was encouraged. The training costs weren't cheap, but my brother and brother-in-law paid them. Victoria March continued training and her speed improved. The day she broke her maiden was magical. There was pride in the Lawrenzi family. We had a winning race horse. Legs kept me up to date on her races, even though we were a couple of thousand miles apart. His filly was speedy and intelligent. She won several other races and her earnings piled up. Kenny placed her in races where she was competitive and the careful placements paid off. One day I received a phone call from my brother. His voice was sad. He told me Victoria March had been claimed. Although they made money on the transaction, he felt like he had lost a member of the family. Well, Victoria March went on racing and had a good career as a race horse. My brother never bought another horse. One, he said, was enough. I have considered investing in a race horse. I have given it serious consideration. Maybe one of these days I will attend a horse auction and a four-legged beauty will capture my attention. I know it's risky -- horses are fragile creatures and anything can happen to knock them out of contention. But I haven't yet owned that boat or a horse that somebody once said every man should own. So there's hope, I guess. Let the races begin.